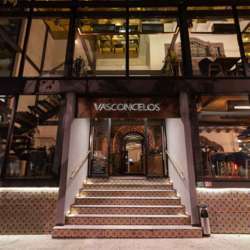 Experience a Magic Night @Vasconcelos, one of the fanciest and trendiest venues in Polanco. Take a look at this particular building which is a mix between the traditional Polanco Spanish Neo Colonial architecture with Postmodern architecture blended all in one - you will be surprised! Don't miss the opportunity to greet old and new friends and mingle with the most international crowd in town.